For the better part of a decade, the most fascinating narrative about the Avatar sequels was their release dates. Now that we think that’s settled, director James Cameron has finally begun to reveal what the actual narrative will be about: Family. The storyline in the sequels really follows Jake and Neytiri and their children. It’s more of a family saga about the struggle with the humans. A “family saga” makes sense, considering Cameron is promising not just one, but four sequels. To see Jake and Neytiri grow old, pass the torch to their children, maybe die, and get a real sense of history would fit well into a five-film saga. Not to mention, take up less of Zoe Saldana’s time. At the moment, the films are scheduled a few years apart. Avatar 2 will be released Christmas 2018. 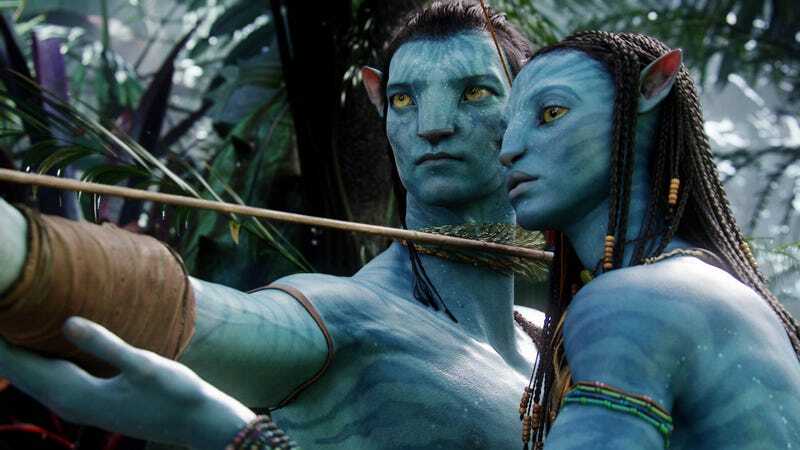 Avatar 3 will follow on Christmas 2020, Avatar 4 on Christmas 2022 and finally Avatar 5 on Christmas 2023.